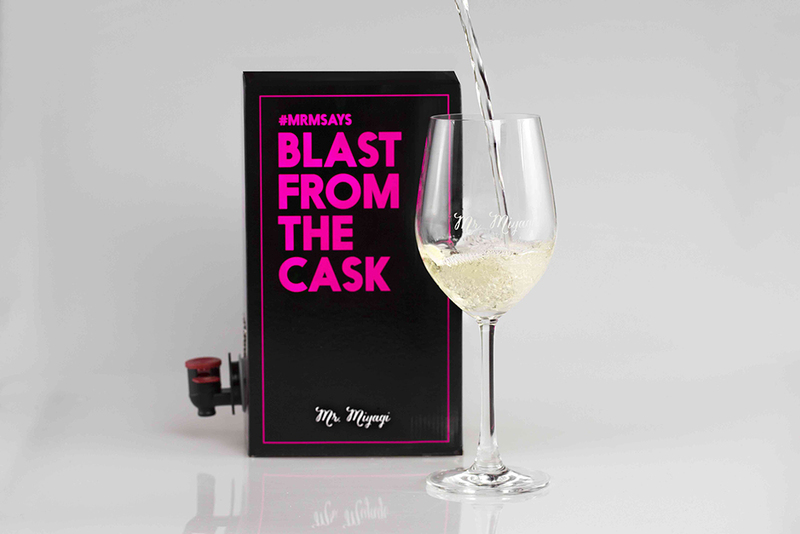 From the team that introduced Melbourne to Frosé, comes Mr. M’s Goon Box: a blast from the cask! Mr. Miyagi will be serving a range of premium wine options in the goon box from this weekend at the iconic Japanese restaurant located in Windsor. The 750ml local red (Murray Darling Shiraz), white (Marlborough Sav Blanc) and rosé (Adelaide Hills Rose) varieties have been carefully selected to compliment the unique Japanese flavours and dishes Mr. M is renowned for. The Mr. M Goon Box will be available throughout the restaurant and at Yukie’s Snack Bar during the Winter and Spring months and is priced at $55 per box. Mr. Miyagi’s approach to Japanese’s dining is nothing short of truly unique. Launched in late 2013, located within the food capital of the world, Melbourne, Mr. Miyagi is a leader in the restaurant world of elite and modern dining, offering an original food experience. Mr. Miyagi’s sassy mistress Yukie’s Snack Bar launched in January 2016, as an extension to the restaurant however Yukie’s Bar has her own distinct character. The bar is designed to serve as a venue for those looking for a pre-dinner cocktail but is also a perfect place for anyone wanting a long night of bar side beats, delicious snacks and creative cocktails. This Melbourne hotspot is one you don’t want to miss.